If you want a smile that you’re proud to flash, consider cosmetic dentistry to improve its appearance, and in many cases, tooth function. At Omnia Dental Care in Chino Hills, California, Dr. Rupport Priyawat and Dr. Maria Kim offer a variety of procedures to help you maintain the health, function, and appearance of your teeth for a lifetime. To learn more about how you can benefit from cosmetic dental procedures, call the office to book an appointment today. Cosmetic dental procedures seek to create a positive change to the look of your teeth and smile. With the expert, individualized care provided by Dr. Priyawat and Dr. Kim, you can experience an improved look that boosts your self-esteem and confidence. During your consultation, Dr. Priyawat or Dr. Kim evaluates your smile and teeth then provide individualized recommendations on the most effective cosmetic dentistry options for you. 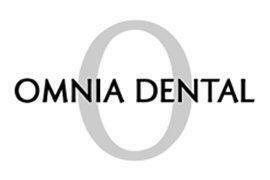 Omnia Dental Care offers zirconia crowns, which are fabricated in office and provide the advantages of affordability, durability, and a natural look. Dr. Priyawat or Dr. Kim may also recommend an IPS e.max crown, which provides a natural translucent color and extra strength and durability. Bridges are false teeth affixed to two adjoining crowns to replace missing ones. They fix gaps in your smile and prevent teeth surrounding a missing tooth from shifting, which can adversely affect your bite. Veneers can be an ideal way to create a stunning smile when you have multiple cosmetic issues. They are super-thin porcelain overlays that are bonded over the top of your teeth to create a more even tone and uniform shape to your teeth. When you have one or more missing teeth, implants offer the most long-lasting and natural-feeling replacement. An implant consists of a metal post that Dr. Priyawat or Dr. Kim surgically inserts into your jawbone at the point of your missing tooth. Once the implant heals, the post is capped with a crown to provide durability, function, and a natural look. Inlays are tooth-colored applications that are bonded to your tooth to cover unsightly fillings and enhance the strength of the tooth. Onlays are similar, but they extend to the chewing surfaces of the back teeth. They are also typically colored to blend naturally with your teeth. To learn more about how cosmetic dental procedures can help give you the smile you want, call Omnia Dental Care in Chino Hills, California, to book an appointment today.